Should anyone be surprised? The new production of My Fair Lady at the Komische Oper Berlin is sold out to the very last seat most of the time. Because everyone wants to see this greatest of all modern operettas – and the two big operetta stars that portray Eliza Doolittle and Henry Higgings. They are none other than Ball im Savoy’s Katharine Mehrling, and Max Hopp fresh after his success with Eine Frau, die weiß was sie will. So it is possible to move with ease between Paul Abraham, Oscar Straus and Lerner & Loewe. And to draw in a crowd, even if the production by stage director Andreas Homoki did not win universal applause from the critics. Who cares what they say anyway? 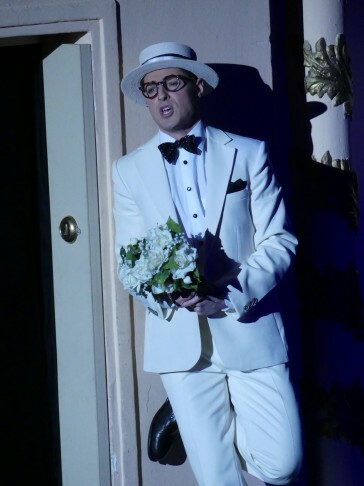 But the biggest surprise of this My Fair Lady production is probably the stand-out performance of young tenor Johannes Dunz. You might remember him from the short-notice stand-in in Clivia, where he sang from the wings, and Max Hopp played the tenor lead when Tobias Bonn fell sick. Dunz dazzled vocally, back then, as one of the most interesting young operetta tenors in a traditional, classic big-sing kind of way. After having stepped into the role of Tony in Barrie Kosky’s West Side Story production, Dunz now got his chance to shine on opening night in My Fair Lady: as Freddy Eynsford Hill. What made his short scene with “On the street where you live” such a knock-out was not just his sensual singing. He delivered his song in an old-fashioned vaudeville style that one would normally not associate with Freddy. But it worked fabulously well. All Dunz needed was a spot on his face, a white suit, a straw hat and some flowers. He brought the house down! 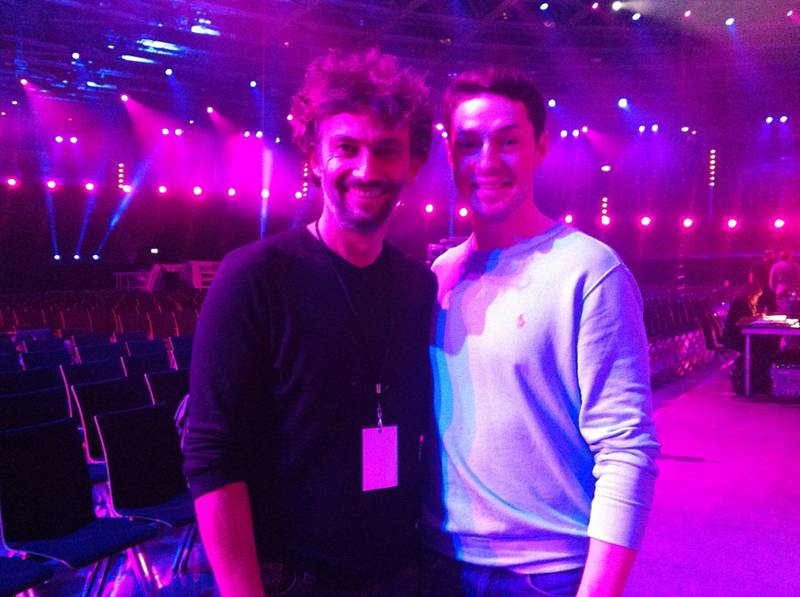 Dunz was recently seen on German TV with Jonas Kaufmann, who himself has strolled down operetta paths in the past. It’s heart-warming to see the two generations of tenors next to one another. We sure hope to hear and see more of Johannes Dunz in this repertoire, at the Komische Oper or anywhere else. He has the easy charm and easy delivery that is so often missing in modern operetta performances, especially those captured on disc. Dunz’s operetta singing is a pleasant contrast to Max Hopp and Katharine Mehrling. All three present highly individual and very distinct approaches to the genre. All three are equally valid. And it’s proof of the Komische Oper’s trend setter quality with regard to the genre, that they can put all three on the stage together, and get a unified result. Next up, in terms of stylistic variety, is the appearance of Desirée Nick in Emmerich Kalman’s Die Zirkusprinzessin, on December 20 and 30.The concert performance will be recorded by Deutschlandradio Kultur and broadcast on 31 December, 20.03h Central European Times. All we can say about this ongoing casting spectacle: the more the merrier, and the better. Operetta needs stars, variety, and definitely a good old-fashined touch of vaudeville. To stick with Lerner & Loewe for a grand vaudeville finale, here’s Maurice Chevalier with a scene from “Gigi.” A masterclass in operetta singing, and in how to work with a hat. 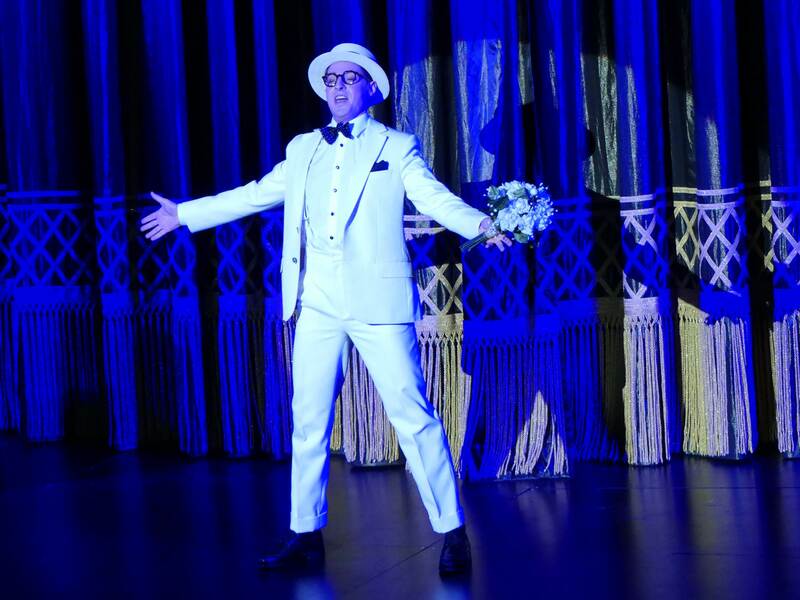 Special thanks to Frank Wesner for the photos of Johannes Dunz, that (for some strange reason) are not part of the official Komische Oper press material for My Fair Lady.